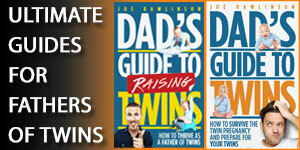 With the news that you’re expecting twins or the reality of twins in our lives as parents, things get crazy. We can often feel overwhelmed by concerns and troubles. To balance this, it is important that we find joy in the journey of twins. It’s true that twins are exhausting and are a lot of work. 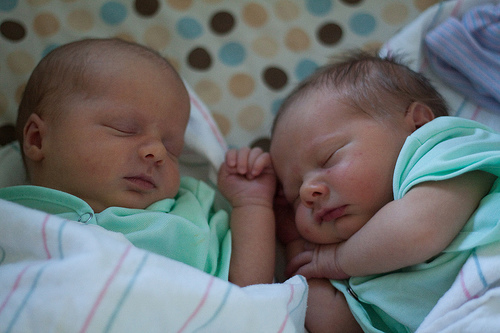 During the first year with infant twins, it’s crazy-busy, and it’s a blur. In addition to the day to day care of twins, you freak out about the financial aspect of twins. If you don’t put all those things to the side and focus on the big picture with your twins, you’re going to get depressed and overwhelmed. 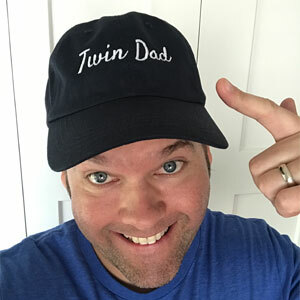 Fortunately for you, there are a lot of amazing things about being a dad of twins. 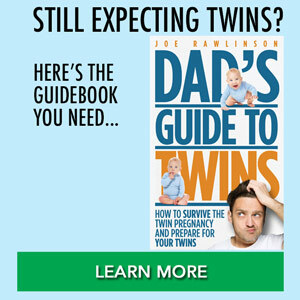 I’ll share some of the experiences that I have had with my twin girls so you can look for the bright side of having twins. Know that you have something to look forward to in this amazing journey. You can find joy in the journey with twins. To watch my girls be delivered was a spectacular experience. I watched one be born, and then scrambled over with the nurses to get her cleaned up. Then I rushed back over to watch the other girl arrive. It was just a wonderful, once-in-a-lifetime experience. I love that I got the chance to help feed my infant twins. This gave me a great opportunity I did not really have with each of our singleton boys previously. I was able to help feed my daughters every day, every night, and in the middle of the night. That was a great opportunity to hold them and bond with them, to look into their little eyes, and to hold their little hands. That’s something I cherish greatly. When you get the chance to help feed your babies, and have that one-on-one time with each of them, cherish that moment because it’s a spectacular joy. Another thing to love about having twins, and I have since they were born, is that there is always somebody to hold, to give a hug to, or to cuddle with. Now that our twins are older, there is always someone to read stories to, and to play with. Even if one of the twins is having a bad day, doesn’t want to talk to me, doesn’t want to play with me, or is having a temper tantrum, the other twin is usually available and is eager for positive attention. It is fun to watch your twins and how they interact with each other. This is something you don’t get if you have just one baby, one infant, or one toddler. Watching my girls interact with each other has provided for a lot of entertainment, some funny moments, and fond memories. For example, if one girl is sad because she got left alone or got hurt, the other twin will run and get the blanket of the sad sister and bring it to her, or bring a toy to her to try to comfort her. It’s been fun to watch that nurturing relationship between the two of them. Whether they are at home, out in public, or at a friend’s house, it is amazing to watch and observe how they care for each other. Nothing is as fun as traveling with infant twins on an airplane. We flew several times with our girls when they were under the age of two. I’d have one twin on my lap, my wife would have one twin on her lap, plus we’d have our two boys in their seats. It was never a dull moment on the airplane. We’d get lots of comments from people in the airport, from the flight crew, and from the passengers around us. 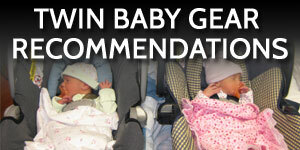 It was always a noteworthy event to travel by plane with infant twins. Find joy in the literal journey when you are flying somewhere or you’re driving somewhere, of how your twins are interacting with you, with their environment, with those around them. When it came time to start our girls on solid foods, we started out with rice cereal. We put them in the booster seats in the kitchen. Then either my wife or I would sit between them. We’d scoop out little spoons of cereal and feed one twin, and then scoop up another scoop of cereal and feed the other twin, and then go back and forth between the two. The funny thing with feeding twins solids is how they would be impatient. They would both want the food at the same time. One sister would see her sibling getting the food and would reach out and try to grab the food herself, or she would start to moan, cry, or try to babble and talk to you and say that she wanted food right away. It was hilarious to watch them interact with each other and with my wife or I when we were trying to feed them solid foods. You can never feed them fast enough. You can never feed them enough. Enjoy the great memory of trying to feed them both simultaneously and when they are both covered in rice cereal. One of the fun things of having twins is watching how they mimic each other or how they react to each other’s actions, behaviors, and speech. One will be doing something and the other twin will say, “That looks like a good idea,” and they’ll start to do it as well. The old saying of “monkey see, monkey do” is definitely applicable with twins. Your house is probably going to be full of twin monkeys and their shenanigans. Even though our twins love to do lots of things together, it’s always fun to watch how different our twins can be. This is especially true as our girls are identical twins. I love watching how different their facial expressions and physical features can be, watching how their personalities diverge, and how their preferences are different. I love to pay attention to how they speak, how they pronounce their words, even the vocabulary that they use and how one of them is a little different than the other. Early on when they were learning to speak, they would call me at work to tell me something, and I would be able to identify which one of the twins I was speaking with based on her vocal intonations and mannerisms on the phone. 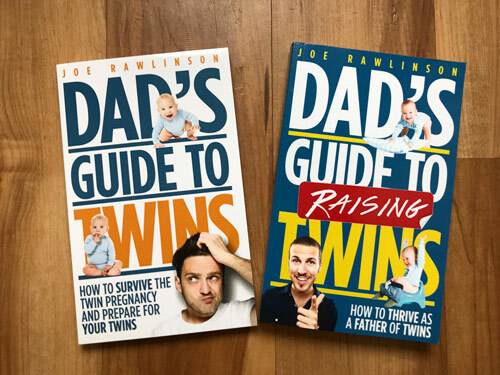 Pay attention to the differences that you see in your twins; how they behave, how they act, how they speak, and you’ll start to appreciate the beauty of how your twins can be so similar and yet so different at the same time. 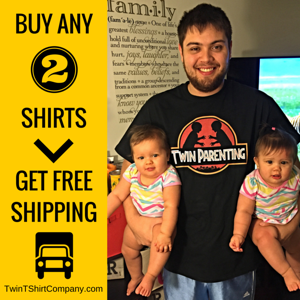 Having twins gives you double the opportunity to be able to be a dad and to love your kids. You get to do double tuck-ins at night, put two little kids into bed, read double the bedtime stories, sing double the bedtime songs. That’s something that is amazing and awesome as a parent, to be able to have that privilege to do it twice, not just once. I invite you today, tomorrow, and this week in your twin journey, to look for the fun moments. Look for the exciting moments. 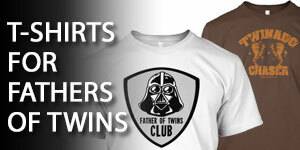 Look for the funny things that happen because you are a father of twins. It’s only because you are dealing with twins that you have these things happen. Study their interactions with each other, you, their environment, friends, and family. You’ll start to see that there are a lot of amazing and fun things that happen because of twins. After the moment passes, you’re going to forget those things, so try to capture them in the moment. Write them down, put them in your journal, take pictures, and take video. Share them with your wife and have her share what she experiences with you so you can capture that for your family and share these memories with your kids as they get older. Look for the joy in the journey because it’s there. In fact, it’s doubly there with twins. I wish you all the best. Thank you Joe, that sounds both fun and challenging same time. I am looking forward to experience this change so thanks for these tips. @Colin – glad I could help! Best of luck to you. @Eva – I’m happy to help! My wife gave me this website and I’ve been awed every time I read your experiences. We have our twins in the tunnel and they will be arriving soon. @Ituen – congrats on the upcoming twins! I’m glad you’ve found the information here helpful as you prepare for your twins. Thanks for sharing your experiences Joe. We are expecting twins and already have an 8 year old. I’m a little nervous but excited to have 2 more to love. @Sean – congratulations on the upcoming twins!